Prime Minister Shinzo Abe said Monday he will visit the United States between April 17 and 20 to speak with President Donald Trump about North Korea, with the abduction issue high on his agenda. 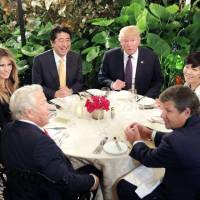 “I am planning to visit Mar-a-Lago in Florida and hold Japan-U.S. summit talks for two days over matters of mutual interest, including the issue of North Korea,” Abe told a meeting of senior officials from the government and ruling bloc, referring to Trump’s “Winter White House” in the sunshine state. “I will request in person that President Trump raise the abduction issue, which is the most important question, during the upcoming U.S.-North Korean summit,” he said. Trump and North Korean leader Kim Jong Un are expected to meet by the end of May in the first summit ever to be held between Washington and Pyongyang. Before that, Kim is scheduled to meet with South Korean President Moon Jae-in on April 27. Late last month, Kim made a surprise visit to China for a summit with President Xi Jinping. Describing North Korea’s recent pursuit of dialogue with world leaders as the result of his “maximum pressure” campaign, Abe emphasized that the international community must keep pushing Pyongyang until it takes concrete steps toward denuclearization. In his meeting with Trump, Abe is also expected to urge the U.S. leader to exempt Tokyo from Washington’s stiff new tariffs on steel and aluminum imports, according to a government source. Abe last visited Trump’s golf and vacation estate in Palm Beach in February 2017, immediately after the president took office. 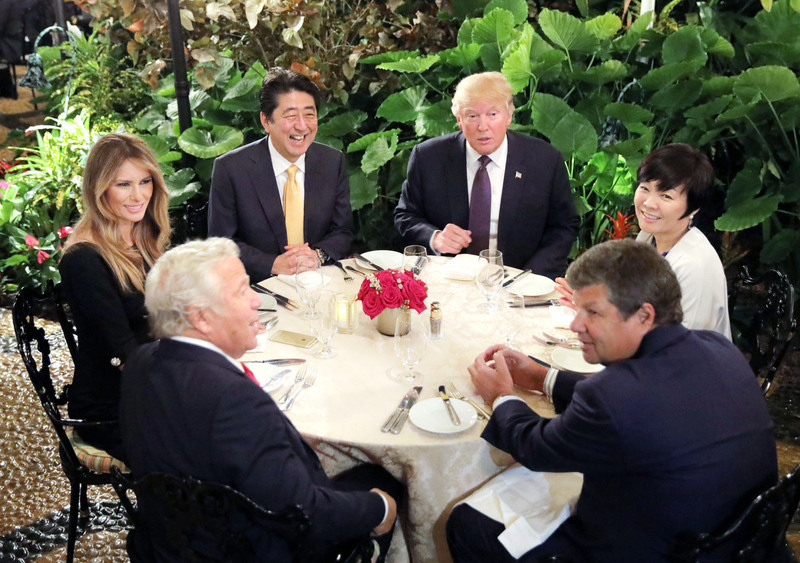 During that visit, Trump and Abe caused a stir when they appeared to discuss their response to a North Korean missile launch while sitting in full view of patrons in the resort’s dining terrace.